Mission: To promote the arts – local, national and international alike. At different weeks during this hour we will read poetry, fiction and non-fiction, we will learn about new books, cultural organizations, calls for submissions from magazines. We will hear radio plays and news about upcoming events. We will interview local and international guest both in the studio and over the phone. In addition, every week we will announce a writing prompt. This will be a said topic on which the listeners are invited to write something – a poem, an essay, a short story, an opinion and send it to me over email. The next show will begin by reading a few of these submissions. 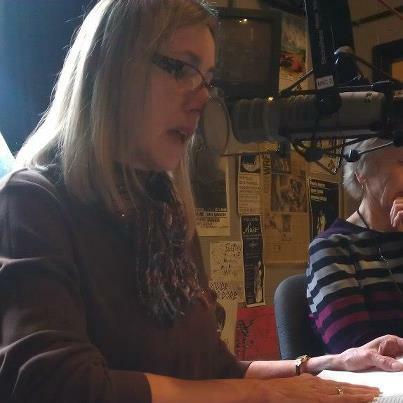 UK students and listeners living in Lexington may be invited to read their own work on the air. Katerina Stoykova-Klemer is the author of the bilingual poetry book, The Air around the Butterfly (Fakel Express, 2009), and the English language chapbook, The Most (Finishing Line Press, 2010). Her poems have been published in the US and Europe, including The Louisville Review, Margie, Adirondack Review and others. Katerina is the founder and leader of poetry and prose groups in Lexington, Kentucky. She serves as Deputy Editor in Chief of the English language edition of the online magazine Public Republic. In January of 2010, Katerina launched Accents Publishing – an independent press for brilliant voices.